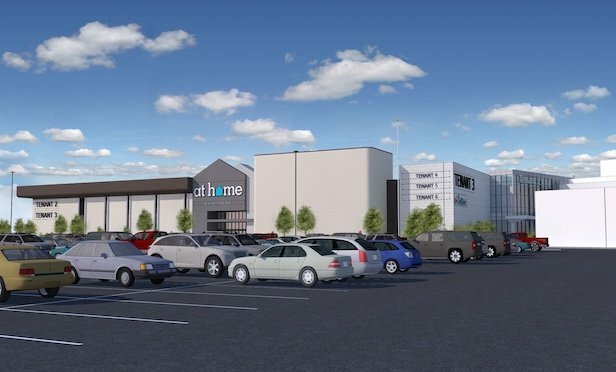 At Home, a national chain of home décor superstores, has signed a 10-year lease for the entire first floor of the retail store comprising 101,488 square feet. A rendering of the redeveloped Macy’s store at The Shops at Nanuet that is to be purchased by Metropolitan Realty Associates. NANUET, NY—Metropolitan Realty Associates reports it has signed a contract to acquire the 218,000-square-foot Macy’s store at The Shops at Nanuet here. New York City-based Metropolitan Realty Associates, headed by founder and CEO Joe Farkas, is partnering with equity partner Angelo Gordon & Co. LP of New York City in a sale/ leaseback agreement with Macy’s that will enable the retailer to continue to operate fully through the holiday season at its Rockland County location. No financial terms of the transaction were released. Macy’s operates a store location in West Nyack at the Palisades Center Mall in Rockland County. Farkas reports that Metropolitan Realty Associates, which has operations in Manhattan and Jericho, NY, has secured a tenant for nearly half the 218,000-square-foot retail space. At Home, a national chain of home décor superstores, has signed a 10-year lease for the entire first floor of the retail store comprising 101,488 square feet. Jerry Welkis, a principal of Welco Realty, represented the tenant. MRA represented itself in the transaction. Earlier this year At Home opened a location on Route 211at 100 North Galleria Drive in Middletown, NY at the former Gander Mountain store at the Galleria at Crystal Run. The retailer also has a location in Wayne, NJ, according to its website. At Home has been growing at a rapid pace since taking its operation public in 2016. Founded in Garden Ridge, TX, in 1979, the company now headquartered in Plano, TX, currently operates 177 stores in 36 states across the country. Macy’s was one of the original two anchor stores, then operating as Bamberger’s Store, when Nanuet Mall originally opened in 1969, and, along with Sears, owned its space. Simon Property Group redeveloped the outdated mall as a 760,000-square-foot open-air lifestyle center called The Shops at Nanuet and re-opened in 2013. The Shops at Nanuet retail tenancy now includes Fairway Market, Regal Cinemas, 24-Hour Fitness and notable specialty retailers Apple, Coach, Lululemon, J. Crew, Michael Kors, Sephora, Starbucks, BJ’s Restaurant and Brewhouse, Zinburger Wine & Burger Bar and P.F. Chang’s. Sears recently announced it will shutter its store at The Shops at Nanuet. “Macy’s Nanuet has all of the qualities that MRA looks for in an investment. It is situated within a high traffic location on Route 59, along the I-287 retail corridor, in an area with limited new supply,” says Farkas. “It benefits from neighboring Bergen County, New Jersey’s Blue Laws that prohibit Sunday retail sales, incentivizing weekend shoppers to cross the state border and consequently widening the trade area. And, rezoning for transit-oriented development now underway in the nearby town of Clarkston will add residential development that will connect the historic downtown with The Shops at Nanuet and the Nanuet train station. David Landes and Jeanine Kemm of Royal Properties will act as leasing agent for MRA for the Nanuet property.